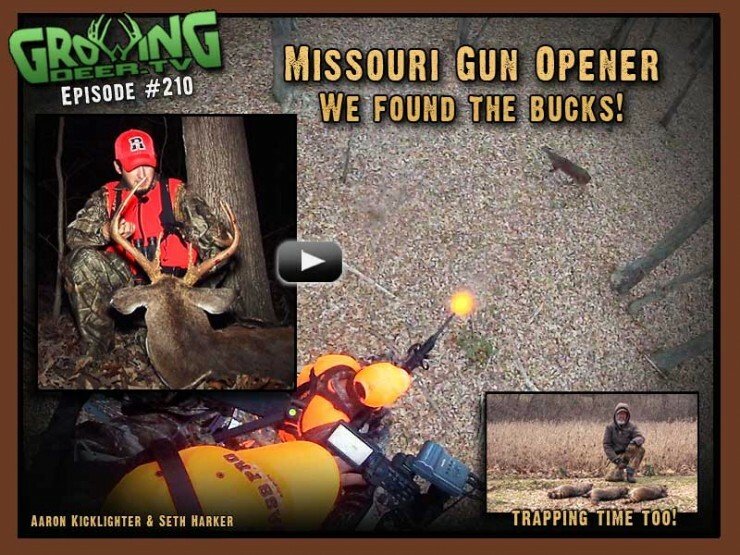 GrowingDeer.tv Team members Aaron and Seth selected a stand out of the wind during Missouri’s opening weekend of gun season. Their selection was perfect as they hadn’t been in the stand long when they heard a deer running though the leaves toward them. Deer running during November in Missouri often means a buck or bucks are chasing a doe. That’s exactly what they saw! Multiple bucks chasing a doe within yards of their stand and one of them was on their hit list. Watch this exciting rut hunt!